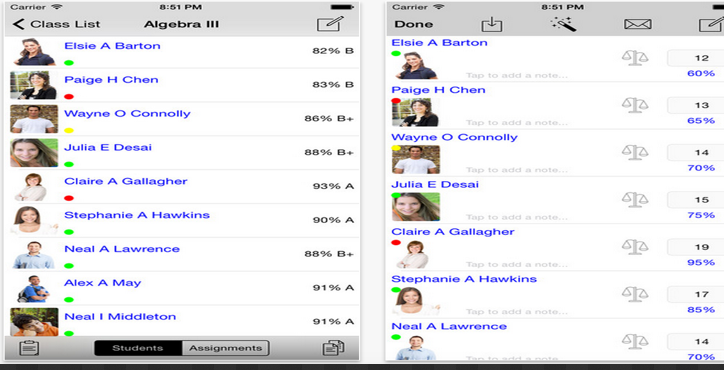 Here are some good web tools teachers can use to create and manage online grade books. These tools provide a plethora of features that enable you to calculate, save, and distribute grades to students. Besides grading, these platforms also allow you to track students performance, record attendance, build students portfolios, document classroom learning and many more. It is the number one online gradebook in class management system with more than 2 million members. Engrade is completely free and is a great way to post class information for students and parents . Plan Book Edu helps you with your lesson planning and makes your plans available anywhere you go. It also lets you attach files, Common Core Standards, print, export to Word or PDF, and share with your colleagues. LearnBoost provides you with all the software you need to manage your classroom and school. It offers an online gradebook, lesson planning tools and many more. Use Schoology to manage your lessons, gradebooks, engage your students, share content, and connect with other educators.